Hong Kong Chief Executive, Mr. C Y Leung, and the Non-Official Members of the Executive Council visited the Hong Kong Science Park on July 23 to learn more about the latest efforts by the Hong Kong Science and Technology Parks Corporation (HKSTP) in promoting the development of innovation and technology in Hong Kong. Time Medical Systems was the VIP guests' first toured company. Chairman and CEO of Time Medical Systems, Professor Ma, gave a presentation of the Company, its history and its innovative and patented MRI technology to the VIP guests. Professor Ma introduced Time Medical as a hi-tech spin off from Columbia University and the University of Hong Kong, both world leading technology centers in the bio-medical industry. He further described the innovative products such as the world’s first neonatal MRI product, NEONA; as well as the dedicated breast MRI system, MAMMO. The Chief Executive was pleased to learn that the concepts and designs for the Neonatal and Mammo systems originated in HKSTP. He encouraged the Time Medical team to continue their innovation and new product development process and to strengthen their future business and manufacturing facilities in Hong Kong. Time Medical Systems participated in the 2014 CIBR (Coalition for Imaging and Bioengineering Research) Medical Technology Showcase in the Russell Senate Office Building on Capitol Hill in Washington DC. As one of the ten exhibitors, Time Medical Systems with its academic partner, University of California, San Diego Health System, and its patient advocacy group partner, Tuberous Sclerosis Alliance, showcased its new MRI system dedicated for neonates. 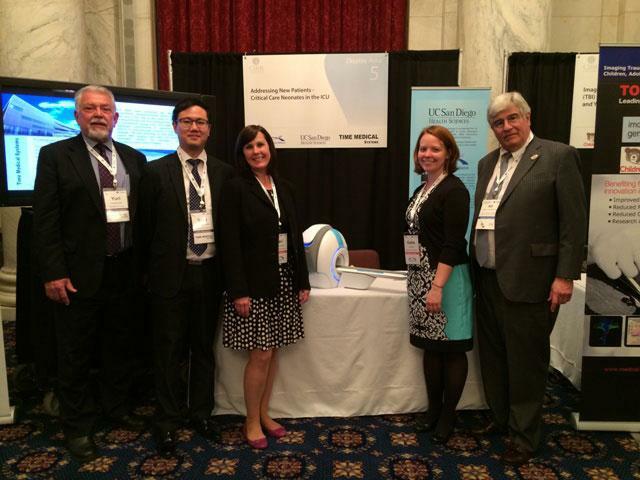 The NEONA MRI system generated great interest and was well received by the many academic and congressional visitors. For more information of the CIBR event, please visit http://www.imagingcoalition.org. Taizhou, Jiangsu Province, China, December 28, 2012 -- China President Hu Jintao visited China Medical City (CMC) and met with Professor Qiyuan Ma, CEO of Time Medical Systems at CMC achievement exhibition. Professor Ma reported the background of Time Medical Systems to President Hu that the team was originated from Columbia University and Harvard Medical School. Professor Ma introduced to President Hu about a number of world-class innovative products developed by Time Medical Systems: the cost-effective PICA whole body MRI system which is particularly suitable for developing countries and the 6,000 county-level hospitals in China; the first orthopedic MRI system in Asia which is applicable to orthopedic dept and sports centers in hospitals; and the world's first neonatal MRI systems for neonate diagnosis which is available to the 4,000 children hospitals in the world. Time Medical Systems is determined to be the leading company in the field of dedicated diagnostic equipment. President Hu showed his interest towards the advantages of the products, especially on the performance and technical specification of the neonatal MRI system and incubator. 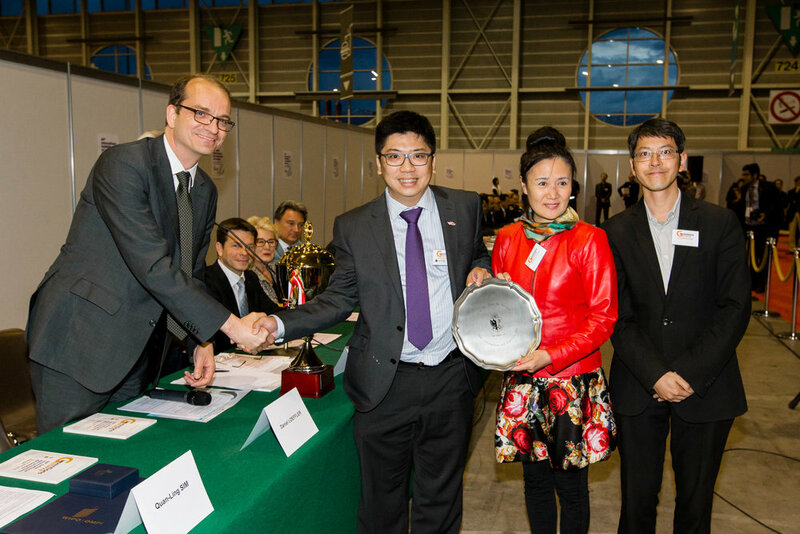 Professor Ma demonstrated Time Medical Systems' unique product / technology, the High-Temperature Superconducting (HTS) coil, President Hu encouraged Time Medical Systems to adhere to the "Independent Innovation" route, and create first-class products for the general public. "We are fully confident of building a world class brand in the CMC!" replied Professor Ma.